Companies calls BTL agency when the brand needs live contact with its clients. Digital channels of advertising not always have access to the right target audience and the effectiveness of the media is not always enough to trigger peak emotion to involve audience in promotion mechanics. 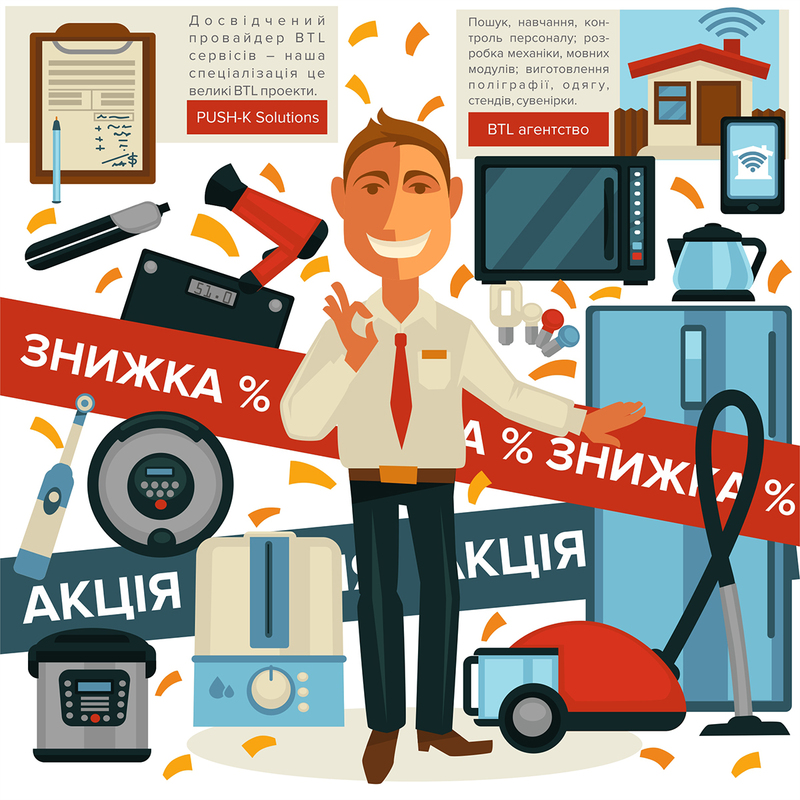 BTL agencies provide search and training of personnel according to the mechanics of the BTL project, which can be both local and part of great advertising campaign. In addition to professional implementation of typical BTL projects tasks (personnel search, training, control; development of mechanics, speech modules; design; production of polygraphy, clothing, stands, gifts, souvenirs, other props; logistics), we easily upgrade such projects with multimedia solutions and capabilities of WEB. BTL agency PUSH-K Solutions is at your service, it all depends on your goals. Below is selection from the agency’s portfolio by category BTL.